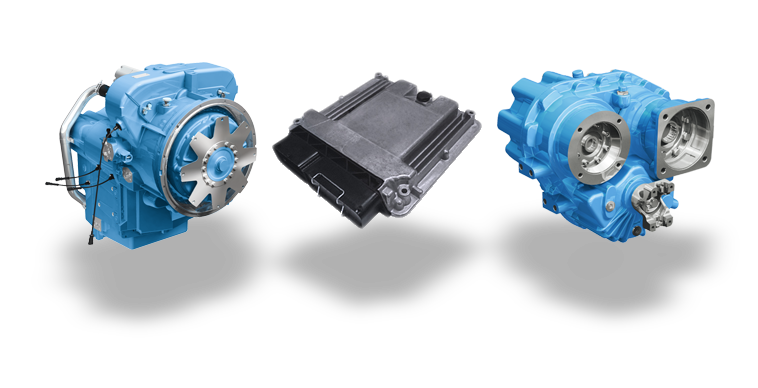 Dana offers a full range of Spicer® transmissions and torque converters to handle applications that require 50 to 1,000 horsepower (37 to 746 kW). All off-highway transmissions can be specified with Spicer electronic control systems to enhance performance even further. A range of options enable precise inching, eco-drive, power drive, and overlap control. Available in continuously and infinitely variable transmissions for improved fuel economy and maximum vehicle performance. Delivers the highest level of simplicity and serviceability with advanced control options for improved shifting. Through a joint venture with Bosch Rexroth, Dana delivers hydromechanical variable transmissions, which combine mechanical and hydrostatic travel drives to maximize fuel savings up to 35 percent. For additional information on the joint venture or technology, click here.